Following last Saturday’s visit from our friends up the road, it is pleasing to be welcoming Ipswich Town to The Valley this weekend. The Blues, The Tractor Boys or The Horses as they are sometimes called will provide an altogether better atmosphere than the Spanners supplied last time out. The look of hatred and hostility on their faces whilst abusing the likes of Solly was truly disturbing. Most of them would have fitted in well if they’d been incarcerated on Shutter Island. On the playing side they had clearly come for the draw and it was disappointing that given their 5 at the back we didn’t put someone up with Igor earlier. We needed to take the game to them. At the end we departed we thoughts of “ if only “ in respect of George. Two golden opportunities missed in successive games isn’t good especially as I believe he has some ability. Enough already, onto this Saturday. Myopic Mick ( I hope no one ever needs him as an eyewitness even with video evidence ! ) brings his Suffolk side along sitting handily placed in 4th spot. Ipswich have had a good season especially at home whilst on their travels games have mostly ended in draws. Everything suggests stalemate as the outcome but we have an unbeaten home record at stake and are on the telly………..so what do you think !!!! 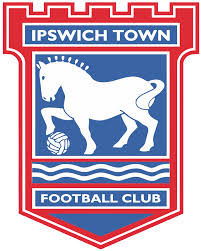 Whilst having a richer history than ours, Ipswich are a club not totally dissimilar to ourselves. They aren’t prone to splashing the cash and McCarthy has, as usual, fashioned a good side without spending a small fortune. Mick’s teams are always hard working and tough to beat. Hopefully we will have Igor available as we know how valuable he is to us. Sadly no Henderson but I'm comfortable with Pope after an assured performance last week. Coquelin was superb last week and it is to be hoped that he starts tomorrow and also that his loan is extended. The presence of the tv cameras doesn't bode well and we can only hope that particular hoodoo won't play its part. If it's any comfort my Ipswich supporting mate is coming along ( in the away end by the way ) with his partner who he tells me usually means the Ipswich don't win. Let's hope that's a good omen. The early kick off means a few leisurely beers after somewhere in Greenwich. It'd nice if that was done in the warm glow of having garnered 3 points. A richer history than ours? Tut-tutt. They didn't earn the right to even play us until the 1950's. They enjoyed notably more success than us in the late 70's and early 80's with an F A Cup win and a UEFA Cup win but we have arguably had the better of this century than them. History is something formed over time not a purple patch. Anon, yes achieved under Alf Ramsay I believe. Dave, I guess it depends how far back one wants to go. Certainly we have had more time in the Prem since 2000 but then again that can be balanced by time in the third tier. Our European experience extends only to the infamous Anglo-Italian cup whereas Town can point to Texaco Trophy and UEFA Cup wins. Both clubs have won the FA Cup of course.